Everyone who is into ping pong knows that it’s important to have a good equipment, from ping pong table to your paddle, but there is one thing that people often forget about. It’s the ping pong balls. Most people don’t understand the importance of having quality ping pong balls and how they can affect the game. Quality ping pong balls have better bounce and are providing the more optimized game with no unwanted actions which could benefit one player more than the other. It can be really hard to find quality ping pong balls, but in this post, you will find some of the best ping pong balls on the market, and the reasons why they are one of the best ones. I would highly recommend you to upgrade your ping pong balls to improve the game, especially if you took care of getting a quality ping pong table or a quality ping pong paddle. Stiga is a really well-known brand and they offer a wide choice of ping pong equipment which will match anyone from amateur to professional skill level. They have a specific orange color which makes it easier to spot during the game, but it also depends on the surface. Ping pong balls have had a size standard of 38mm which recently changed to 40mm and that’s what Stiga has followed with these 3-star table tennis balls. The weight and size distribution of Stiga 3-star table tennis balls is perfect and it can be really felt after playing with these balls for a while. They’re also very durable and it’s really tough to damage them, which is a great bonus. They aren’t expensive and will provide a great game while lasting longer than other ping pong balls. 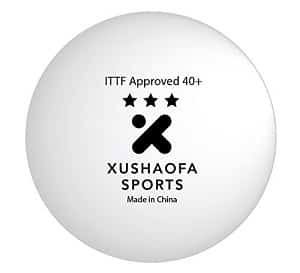 Xushaofa Seamless Poly table tennis balls have been approved by the ITTF (International Table Tennis Federation) which means that they’re good to be used in any competitions, no matter the skill level. They have also followed the size change standard from 38mm to 40mm. Xushaofa 40+ Seamless Poly table tennis balls provide the perfect bounce, and they’re perfectly shaped in combination with a perfect weight. Xushaofa 40+ Seamless Poly table tennis balls keep the spin very well while still providing a great bounce, even after the several spins. It’s quick and it is made to last for long, just like any other quality ball. They’re tough, which means they’re hard to break. They will offer the stability, durability, and reliability when needed the most. For the price it’s selling, it can be compared as good as Nittaku balls, just way cheaper, which is a great deal for everyone who wants to upgrade their table tennis balls. If you are looking for a better, improved table tennis balls that come from a very well known brand, you’ve just found them. Kevenz is a popular brand in the world of table tennis, and they’re definitely following the standards. If you are looking for a pack of 50 balls for the best price, you’ve just found it. These balls are 40mm big, which is the new table tennis standard, and they’ve been approved by the ITTF. They’re very high-quality balls that are perfect for high-skill level games. Their orange color is easier to spot than the white traditional color. 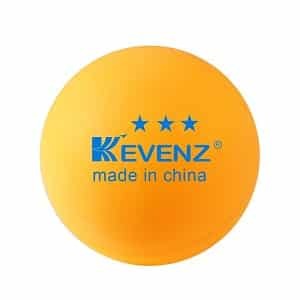 Kevenz 3-star 40mm orange table tennis balls have been gone through the hardness test, which makes them very tough, durable, and responsive which is suitable even for the professional skill level games. I’m a huge fan of 50 packs of table tennis balls because, if you get the right brand and decide to purchase the right balls, you will get the best price possible while being sure that you get the best quality out there. Mapol 50 pack of orange 3-star premium ping pong balls are great for training, and always great to have around for any games whether your skill is intermediate or professional. Whether you’re playing at work or at the garage, it’s always useful to have a bunch of table tennis balls because they often get lost, so why not get quality balls that will improve your game at the same time? 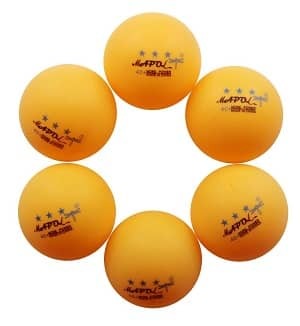 Curves of Mapol 3-star premium ping pong balls are very quality made, providing more spin, speed, and a better balance. Ball diameter is 40mm which means that Mapol is following the standards of table tennis federation. 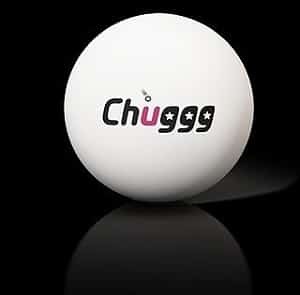 If you’re looking for Premium table tennis balls, Chuggg offers quality table tennis balls that follow the standards of table tennis federation. They’re suitable for any table tennis skill level, from intermediate to professional, and they can be used for any purpose – even in the competitive tournaments. Chuggg table tennis balls are the size of 40 mm which is the new ITTF standard, and is needed to be followed. They are very hard to bend, durable, provide a lot of accuracy and precision no matter the speed and spin used during the play. The best thing about Chuggg table tennis balls is that you will be able to easily identify them, which is very useful if you are joined in the local table tennis club, and you never can find your balls. The container that comes with the Chuggg table tennis balls is very useful to keep them all in one place. I have listed some of the best ping pong balls you could get, which are very reasonably priced on the market and they have been following the ITTF standards. 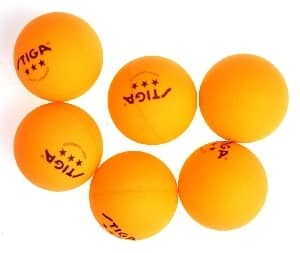 The best ping pong balls from the list above are STIGA 3-star table tennis ball since they come from a very well-known brand in the world of table tennis. 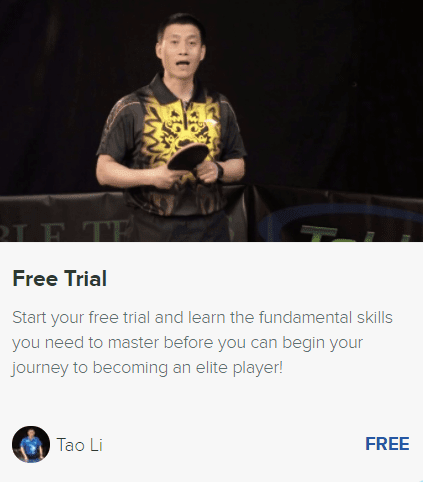 They have a great stability thanks to the balance of weight and size, and they’ve been also approved by ITTF which means that they can be used on any competition, no matter the skill level. What is your favorite table tennis ball?